Verona is a small city and is well stocked with hotels. 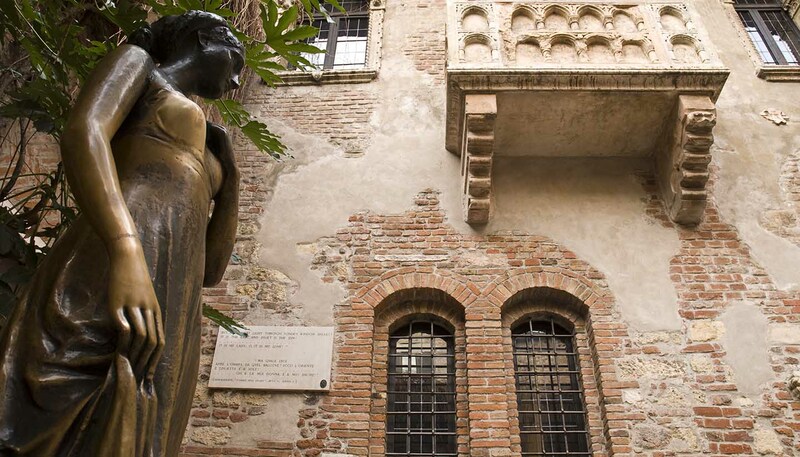 When it comes to different styles and budgets, there’s a good range of accommodation in Verona’s historic centre. During the opera season, rooms fill up fast, so book well in advance. These are the starting prices for a double room and include taxes and breakfast unless otherwise specified. So close to the Arena, you might hear the opera singers in the summer if you fling the floor-to-ceiling windows open wide enough. The modern Escalus Luxury Suites offer 4-star luxury with rooms designed by Andrea Truglio. More apartment than hotel, breakfast is delivered to your own dining table each morning. Telephone: +39 45 803 6754. Housed in a former 16th-century palace, the rooms here are more like apartments. Each is individually styled and they all ooze luxury with parquet floors, Louis XVI chairs, modern bathrooms and gold gilt frames among the fine touches. Guests enjoy organic breakfasts in an internal courtyard garden, while a cigar room and an excellent spa prove lovely luxurious additions. Telephone: +39 45 800 9566. Situated between the Adige River and the Arena, and close to Romeo and Juliet’s balcony, the Hotel Colomba d’Oro’s 51 rooms are furnished in traditional style with rococo mirrors, Italianate paintings and candy-striped bedspreads. The breakfast buffet is lavish and there’s a chic cocktail bar too. Telephone: +39 45 595 300. Located in a former butchers, this boutique bolthole, close to the Basilica di San Zeno Maggiore, has five highly stylised rooms. There isn't a reception area, so guests are sent a code for entry instead. With English floral fabrics, Swedish wallpaper and godly king-size beds, this is a really special stay for the price. Telephone: +39 45 597 004. The relaxed ambience and friendly staff make guests feel at home here, while the lovely terrace overlooking the city’s main square, the Piazza delle Erbe, shows Italy at its finest. Not only does this 3-star choice have a superb location, it has 18 comfortable, air-conditioned rooms with satellite TV too. Telephone: +39 45 594 717. Enjoying a prime position near the Arena and the main shopping streets, the 38 rooms of the Hotel Giulietta e Romeo are stylish and spotless. All come with free Wi-Fi and air-conditioning. The bounteous breakfast buffet can be worked off in the small fitness room. Telephone: +39 45 800 3554. This friendly hotel in an old palazzo has a prime location just a few steps away from the Arena. Run by two affable sisters, it is a favourite with the Opera crowd. The high-ceilinged rooms are furnished with wrought iron and antique beds, and all come with air-conditioning and satellite TV. Telephone: +39 45 800 7512. With jazzy bedspreads and faux Renaissance paintings on the walls, La Grotta isn't set to win design awards, but with a complimentary minibar, friendly staff, large rooms and free Wi-Fi, it's a popular budget choice. Located outside the city walls, it has free parking too. A bus to the centre stops outside the hotel. Telephone: +39 45 890 5702. Clean, cheap and with free bicycle hire, this hotel is just a short stroll from Verona's train station. While some rooms are compact, they all come with satellite TVs, air-conditioning and Wi-Fi. The breakfast buffet is excellent too. Buses run frequently to the city centre if you don't fancy the 20-minute walk. Telephone: +39 45 56 9022.